A must do for adventure seekers with a strong stomach. 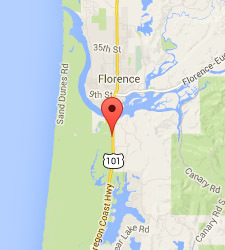 This tour will take you on a ride to remember traveling across endless shifting sand you will see unique tree islands from the ancient forest, a view of the Siuslaw River and sometimes wildlife! 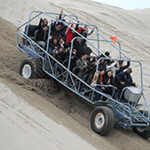 Larger groups can be accommodated with additional dune buggies. Minimum Age – 3 years old. Children under 18 are provided with a helmet. All passengers are provided with goggles to wear. 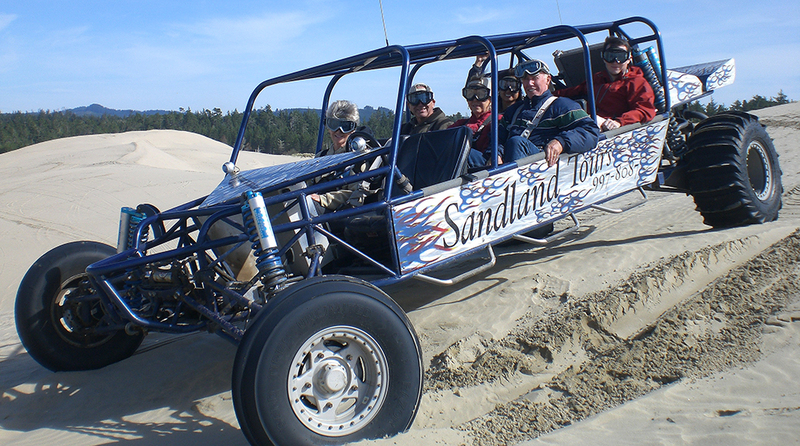 Sandrail tours are not for people with vertebrae issues, health concerns or have problems with motion sickness. 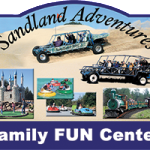 This tour is recommended for adventure seekers who enjoy rides. You will be riding with others and we are unable to slow the tour down. Pregnant women are not allowed on Sandrail tours but can take the Giant Buggy tour if not under doctor’s restrictions. Memorial weekend thru Labor Day weekend – 7 Days a week – Open 9 a.m. – 5 p.m. with extended summer hours.